Dr. Maddahi knows you are arriving at our Los Angeles cardiology office with questions and concerns. From the moment you enter his practice you are met with the best of the best. Dr. Maddahi services are reflected in his thoughtful selection of top notch staff. 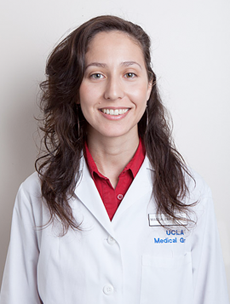 Magdalena Mendez has been working at Biomedical Imaging Institute as Telemedicine Coordinator for more than 5 years. Her hometown is Buenos Aires, Argentina and she carries a degree in Multimedia Design. Bilingual in English and Spanish, she has worked as technical support representative and executive assistant, totaling nine years of administrative and technical support experience. She is also proficient in PC and MAC and enjoys outdoor sports such as soccer, tennis and beach volleyball. 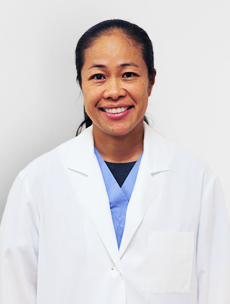 Jennifer joined Dr. Maddahi's practice in 2009. She graduated from the University of California, Berkeley with a BA in Integrative Biology with an emphasis in Human Physiology. Her passion for research has led her to work as a research assistant for Dr. Maddahi, as well as performing many duties to maintain a smooth running practice.